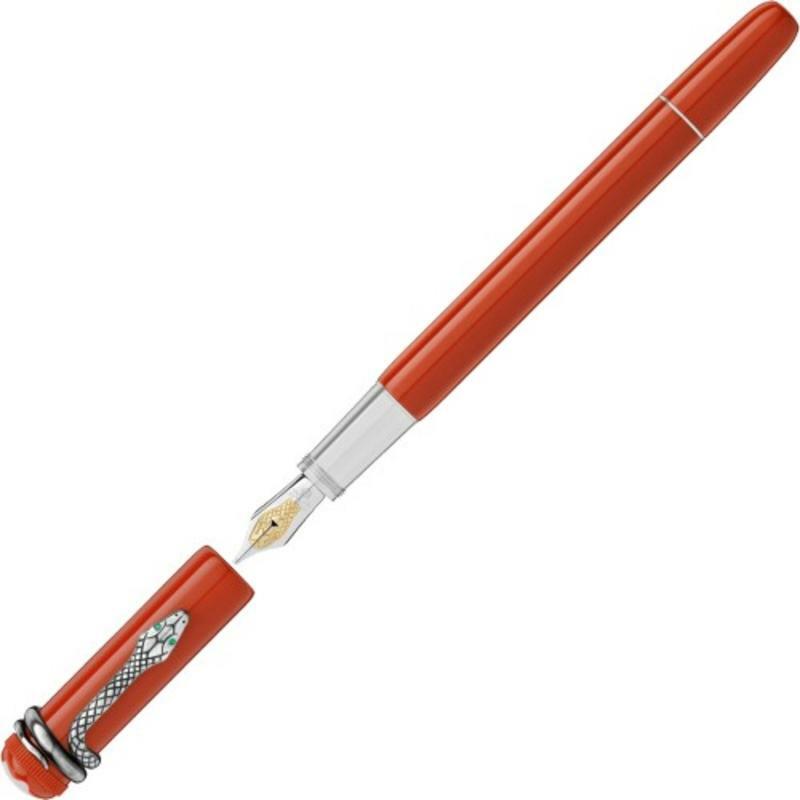 When it was developed in 1906, the ‘Rouge et Noir’ exclusive fountain pen was considered an outstanding technical achievement, ensuring simple operation without the need for dipping the nib into an inkwell. 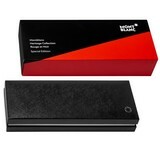 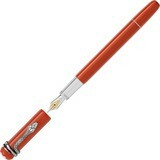 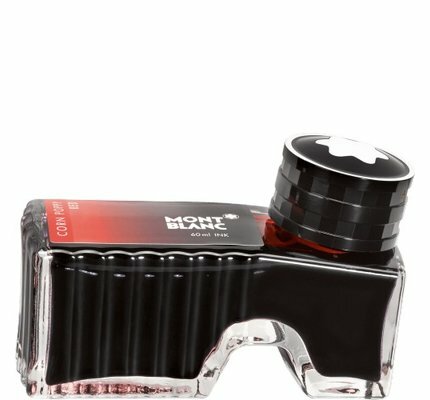 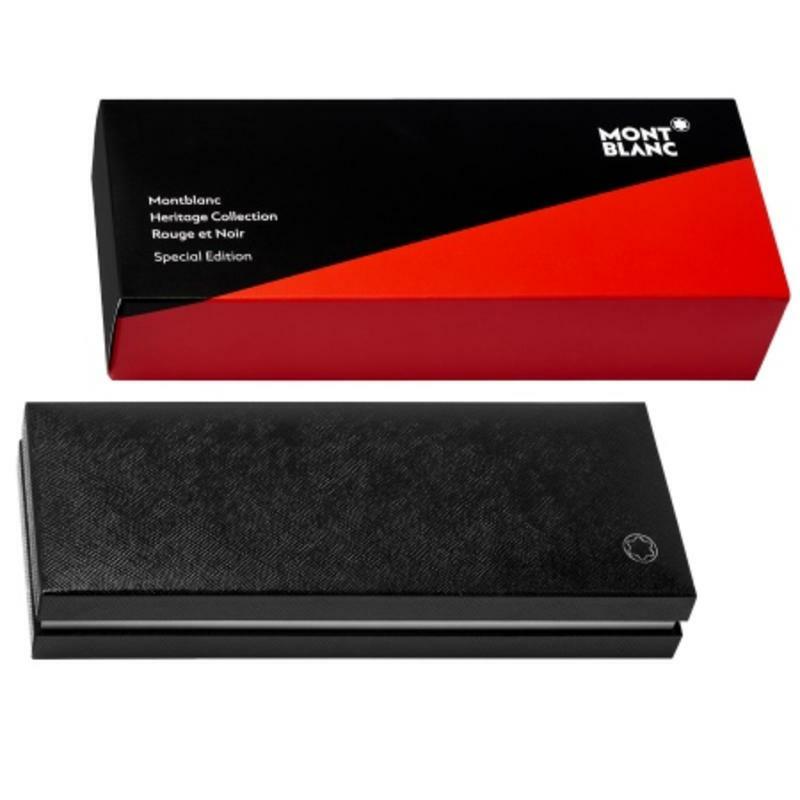 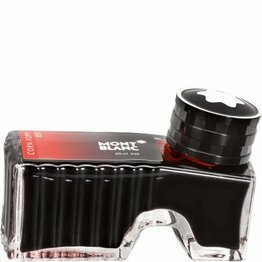 The Heritage Collection Rouge et Noir celebrates the 110-year-old pioneering spirit of Montblanc. 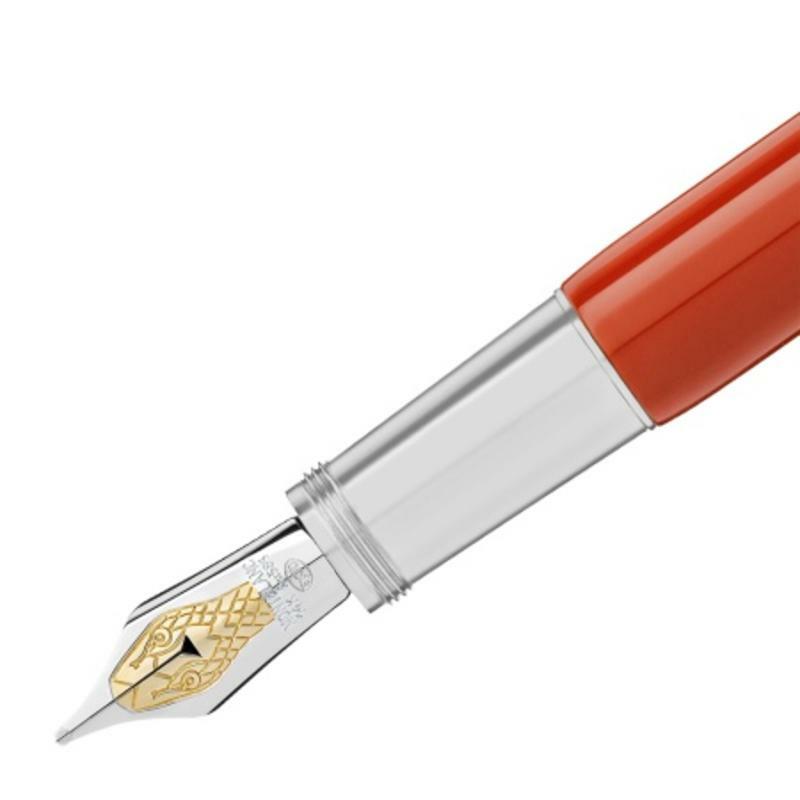 Reinterpreting the legendary writing instrument, it features a longer, slimmer silhouette, modern piston filler technology and craftsmanship refined over generations. 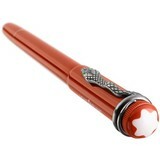 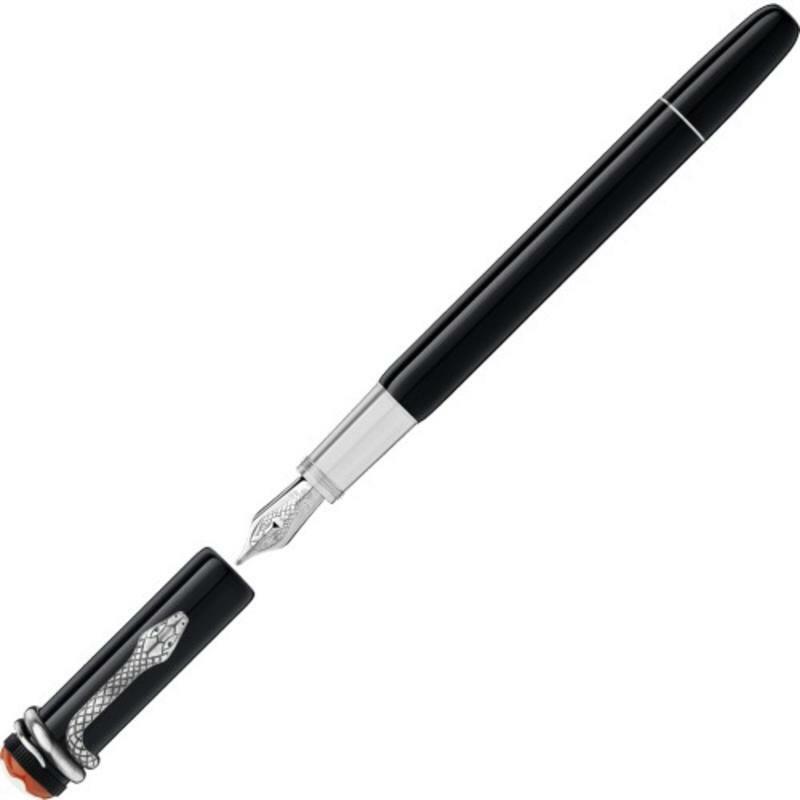 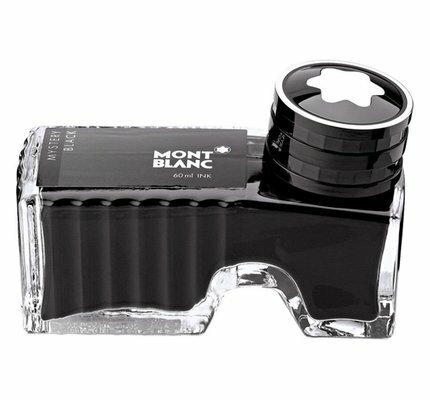 The exclusive fountain pen's barrel is made either of black precious lacquer combined with black precious resin cap.or with coral precious resin in barrel and cap.. Snake Clip in vintage look with matching fittings. 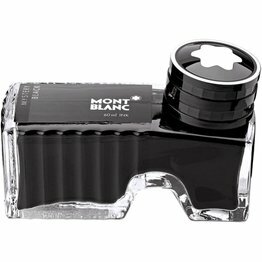 The clip is made by a stamping and winding process in a special alloy metal, and is aged by a unique galvanic and stripping process.